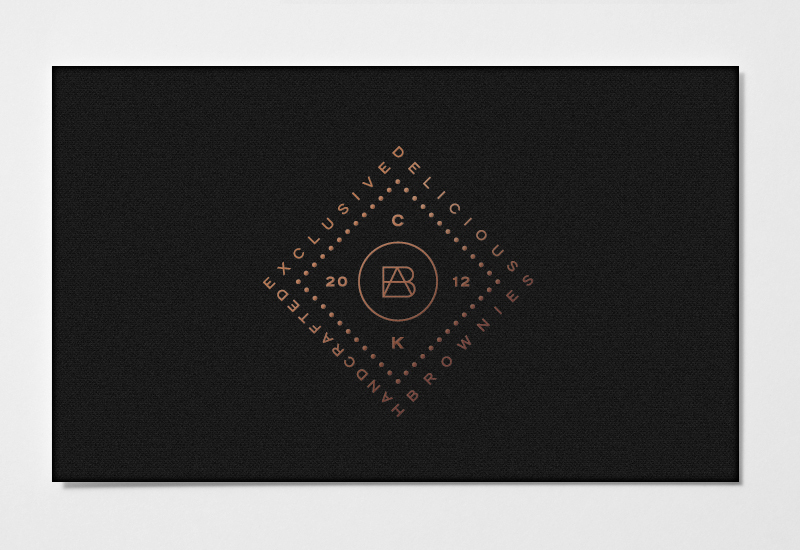 Inspired by the high fashion industry the Brownies Atelier logotype utilises the bold geometry of District Medium with an extended horizontal width, wide letter-spacing and a monochromatic colour palette with the intention of resolving the message of exclusive sophistication in a clear and simple manner. This has been juxtaposed alongside a symbol with finer and contrasting detail to characterise the texture of the cakes and is based around a contemporary interpretation of a classic monogram to represent the personal, individualised and artisan nature of the brand. The introduction of the owner’s initials CK and the date 2012 implies a confidence in quality, pride in establishment and takes its cues from the hand-stamped mark of a craftsman. The symbol’s overall geometry reflects the square cut of the brownies but tilted to form a diamond and infers a sense of high quality while its concentric construction allows it to be stripped down for smaller applications. These visual assets will be executed across a rich copper foil fold-out box, a hammered 260gsm white sleeve with a number of print treatments (foil stamp, blind emboss and thermographic ink) and a perforated vinyl sticker to emphasise the themes of layered texture and rich luxury. 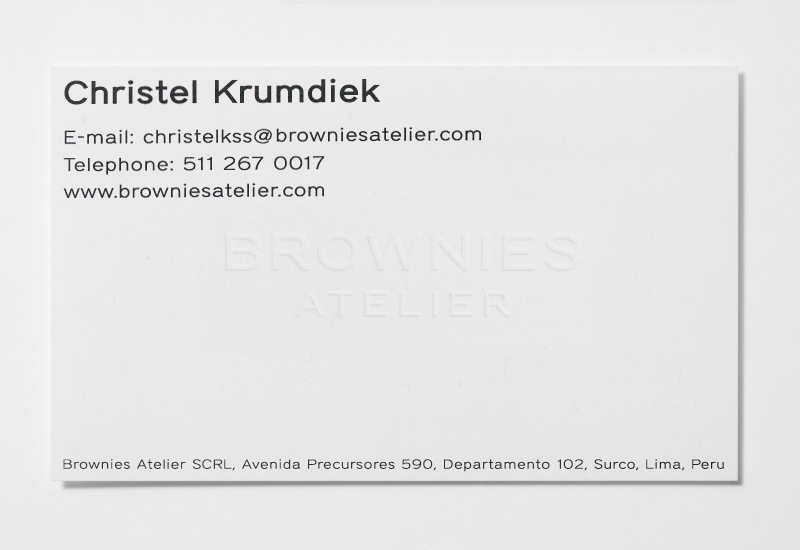 The business cards were tested across an uncoated 600gsm substrate with two colour options and offer a bit more restraint alongside the print techniques utilised across the packaging.